As a client of Nicholas Cosmetic Dental Center, you are eligible for our easy financial and insurance arrangements Nicholas Cosmetic Dental Center offers you a variety of financial options available to help make it easy to afford your dental needs. For your convenience we accept cash, check, Care Credit, MasterCard, Visa, Discover, and American Express. If your treatment totals over $1000.00 and you pay for your treatment before your appointment, you will receive a 5% discount. You and your insurance company have an agreement that does not involve our office. We will provide you with the best advised procedure to care for you, not based on your insurance coverage, but based on your own personal dental needs. Insurance companies don’t base your benefits on what you need; they base it on what payout they can profitably provide based on how much your employer has paid them. More expensive dental insurance policies cover a wider range of services (crowns and fillings for example) at a higher reimbursement rate. Our business office staff at Nicholas Cosmetic Dental Center will strive to help you obtain your maximum benefits by prompt and efficient processing of your claims. At our office we have the capability to submit electronic claims for your treatment the same day of your appointment. This greatly increases the speed that the claim is processed and your reception of the reimbursement from your insurance company. We want you to know that a core belief of our practice is to provide you with the best possible value in dental treatment. This means we avoid patchwork treatment that would soon need to be redone. We used the finest possible materials and techniques to provide you with the greatest possible longevity. We want you to have the peace of mind that your treatment has been well done. 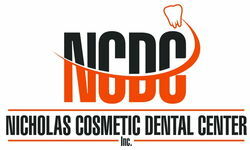 All of our payment options make it easy for you to get quality dental care at Nicholas Cosmetic Dental Center.